There is no more of a depressing feeling in life than to be dumped. The betrayal is even worse when it is done at the hands of someone that you loved unconditionally for 3 months of your life. 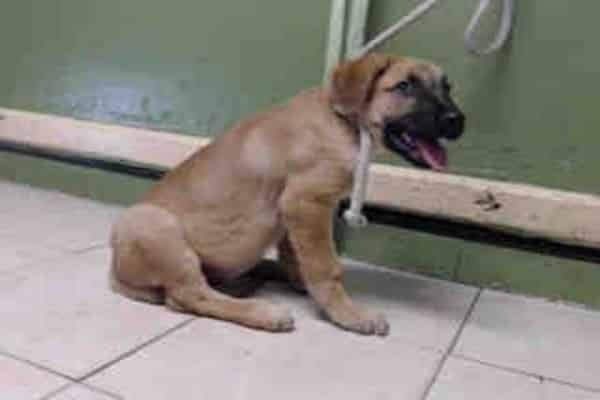 For this one unnamed pup, her new reality is the Carson Animal Shelter in Gardena, California. Carson, a shelter known for its notoriously high kill rate, is not the place where hope abounds. Dogs at Carson are given just weeks and sometimes a few days to live before they are “humanely euthanized,” to “maintain population control” according to the shelter. This terrified, who was unceremoniously dumped at the shelter because she couldn’t get along with the other pets in the home, openly wept as her owner walked away and left her all alone to fend for herself. The sweet tempered and loving pup has broken down emotionally, as she tries to manage the challenge of the chaos, noise, and confusion that is life at the Carson Animal Shelter. Fidonation, if you or someone you know is interested in giving this terrified soul the forever family she rightfully deserves, please contact the Los Angeles County Animal Control – Carson at (310) 523-9566 and reference the shelter ID #A5111570. 3 Responses to "3 month old pup surrendered to high kill shelter, openly wept as her owner walked away"
What is wrong with these owners? How can they discard these precious babies like trash?